This a new thing for me sharing things I like. I'm quite a negative person and 2015 is a year for me to be happy and show the positives. 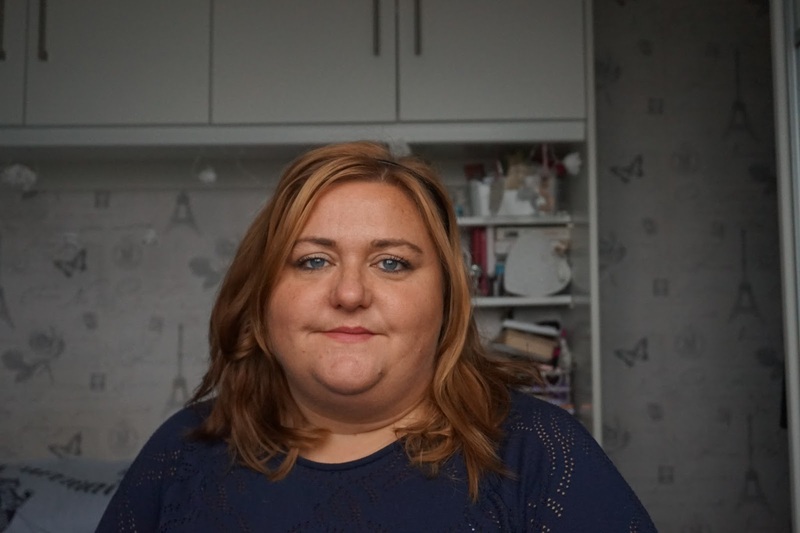 Rather than a month in Review I'm aiming to share my highlights of the month. Things I've enjoyed and you never know at the start of 2016 I might be able to do a review if 2015 easily. My 2014 review is still half written in my drafts folder. In the newish style of my blog lets split this up into fashion, beauty, lifestyle and misc. This might be a little bit sad by my favourite thing fashion wise is that I've managed to do 3 OOTD posts in January. Setting time aside to take pictures has helped me. Fluffy Eyelash cardigan from Tesco - I got this for Christmas and I've worn it almost every day. It has been washed but as soon as it's dried It's back on. I've been loving my next Hareem Pants and wearing black. Which is almost unheard of for me. Mondays OOTD will showcase this outfit so I won't post a spoiler. 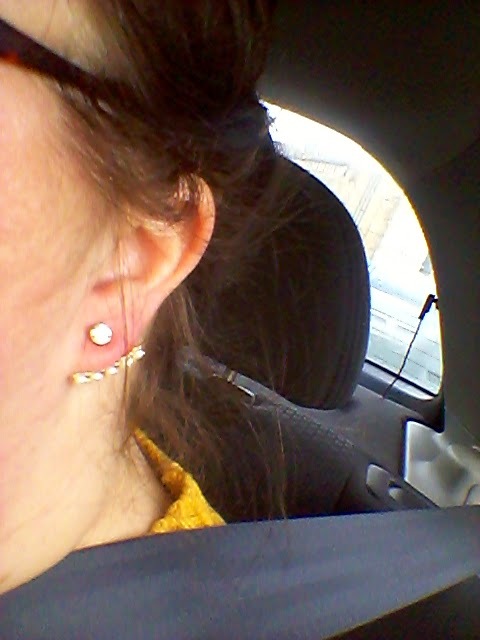 Another favourite has been my new earrings from Miss Selfridge. I'd seen some one post a picture of some similar ones from Zara but I couldn't justify the cost seen as I'm bound to lose them / break them/ forget to wear them. I paid £6.50 for these and apart from one slight trauma of getting them caught in my scarf I love them. It's been a bit of a mixed month beauty wise as I started wearing make up every day and by the 18th I gave up and didn't even wear mascara. The products I've really liked this month was the Collection Mascara which I got in a beauty box and costs less than £4. It's made me go to the collection stands and try more of their products. Bomb Cosmetics Bath Mallows - I got someone these for Christmas and ended up keeping a couple back and they have to be my new favourite thing. The shop I got them from is closing down today so Yesterday and the week before I went and bought loads. I think I've bought about 18 in total. They retail for about £2.20 each but I paid £1.10 for mine. They are small but perfectly formed. They don;t make me itch and the ones I've used don't leave the bath in a state. I'm planning a full review in early February once I've had a chance to use a few more. Avon 24k Gold strength. I think I've mentioned this before but It is my holy grail nail product. It's the only thing that ever makes / helps my nails to grow. I've used it this month and already I have white tips and my nails feel so much better. Books - Reading in general. I've read 8 books this month, I think off of them were on my to be read pile and it feels good to see it reducing and got me away from playing as many games on my phone. 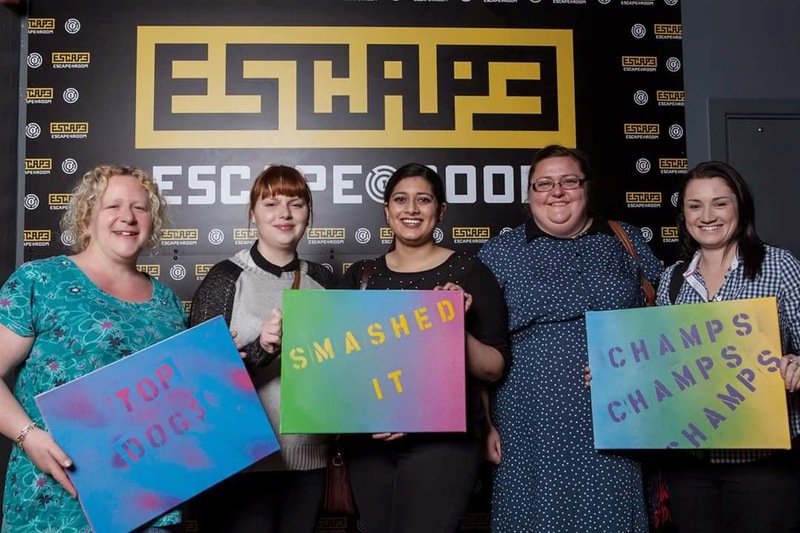 Events - I went to one Event this month and that was to the opening of The Escape Room in Manchester. This was really good fun. It was a bit like a less physical crystal maze. Solve clues to escape from the room. After a slow start we did really well and I want to go back. Music - I don't really listen to much music, well I do my clock radio is tuned into Smooth FM but if it plays anything at all it is always the Carpenters. BUT I have taken quite a liking to a few Taylor Swift songs and listed to a playlist i found on YouTube while I went on the power plate. My New Phone - I finally picked a new phone and it's the Samsung Galaxy S5. I love it and I'm so happy that I got it. TV - Broardchurch - This show has been boggled and frustrated and scared and so happy. We're half way through series two and it is so good. It's been in the press that it's not realistic enough but you know what it's a drama series and it doesn't have to be 100% realistic for it to be enjoyable. Celeb Big Brother - So bad it's good! Trash TV but i've totally been into it. Colour - The colour mint. I've bought so many things in mint green in January I think it has to be my colour of the year. Organisation - This is an odd one as a favourite but putting the time to plan and organise when and what I want to post and stick to certain posts topics on certain days of the week really worked for me in Jan. I'm trying to go through my editorial calendar and put in suggested posts. EG on the last Sunday of each month (from Feb) I'll be doing my favourites posts, The last Friday will be Empties posts. The first Saturday will be a weight update. Mondays will be OOTD. I've had a really good first month of the year and I'm hoping 2015 is going to be a great year, personally, blogwise and workwise. I'm sure there were more things I've loved this month. I'm going to start making notes through February so I can do better, less disjointed posts.